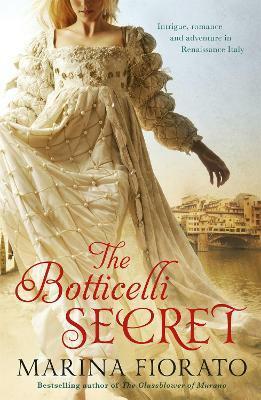 The third unforgettable historical love story set in Italy from Marina Fiorato, author of the bestseller THE GLASSBLOWER OF MURANO. For fans of Philippa Gregory, Sarah Dunant and Alison Weir. Florence looks like gold and smells like sulphur . . .In the colourful world of fifteenth-century Italy, Luciana Vetra is young and beautiful, a part-time model and full-time whore. When she is asked to pose as the goddess Flora for Sandro Botticelli's painting La Primavera, she is willing to oblige - until the artist abruptly sends her away without payment. Affronted, she steals an unfinished version of the painting - only to find that someone is ready to kill her to get it back. As friends and associates are murdered around her, Luciana turns to the one man who has never tried to exploit her beauty, Brother Guido della Torre, a novice at the monastery of Santa Croce. Fleeing Florence together, Luciana and Guido race through the nine great cities of Renaissance Italy, desperately trying to decode the painting's secrets before their enemies stop them. Marina Fiorato is half-Venetian. She was born in Manchester and raised in the Yorkshire Dales. She is a history graduate of Oxford University and the University of Venice. After university she studied art and has worked as an illustrator, actress and film reviewer. Marina was married on the Grand Canal and lives in north London with her husband, son and daughter. She is the author of five novels: The Glassblower of Murano, The Madonna of the Almonds, The Botticelli Secret, Daughter of Siena and The Venetian Contract. You can follow Marina on Twitter at @MarinaFiorato and find out more about her and her writing at www.marinafiorato.com.